Weather: Warm and Humid with Blue Bird skies. Rain Storms forecasted for later in day but we stayed dry throughout. Today, 10 SJHT members traveled down to our version of OkeeChobee. AKA. Salem Canal. With all of the rains that we've had over the last 1.5 weeks, the water was still down a good 3'. It must be the farmers or Dupont drawing water because launching was a bit difficult. The Canal has always been good for numbers but with the latest tournament results and the pressure it gets week in and week out, I was really curious how members would fair. 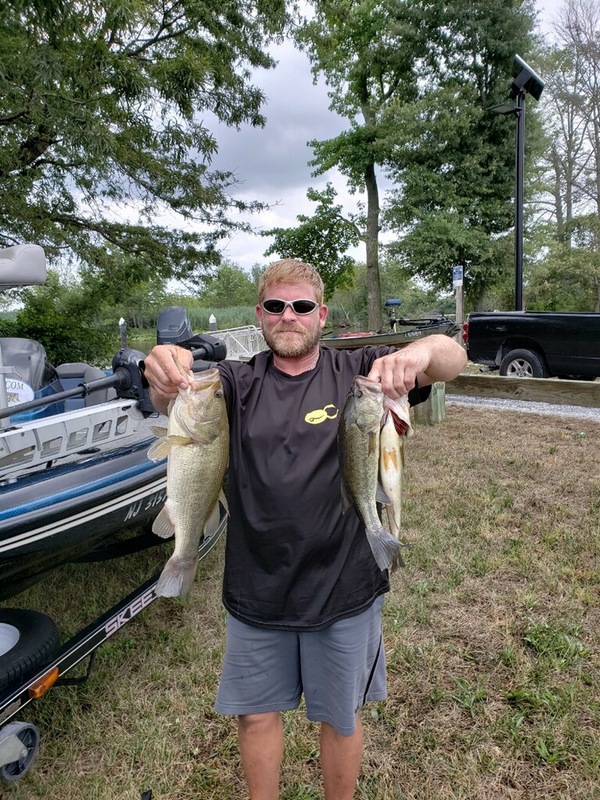 Alright....Without further adieu.....make a charge to compete in the BASS Elite Series and continuing his winning streak.... the Fu Man is putting in work. 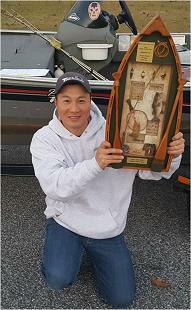 Fu was able to weigh in 3 Bass going 7.08lbs 2nd place and Lunker was won by Bill *The Hammer* L. [/b] with 3 Bass weighing 6.12lbs. 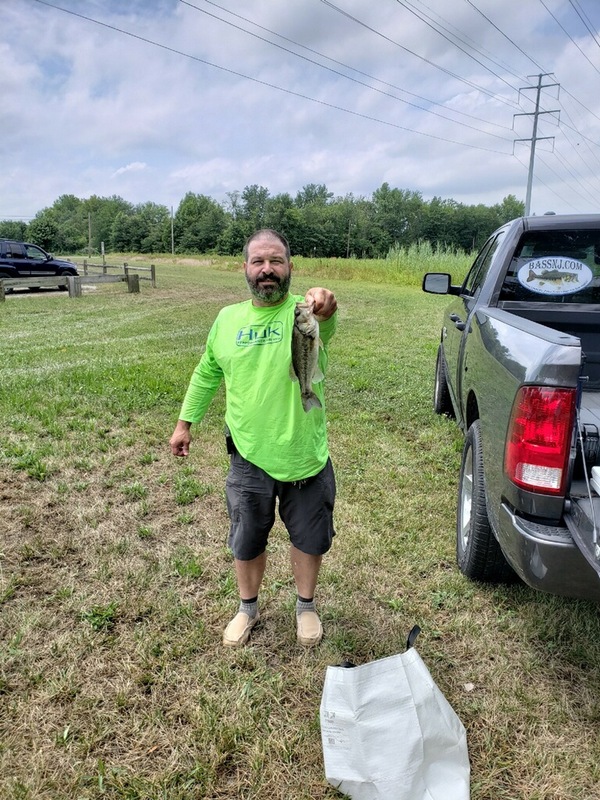 Bills Lunker went 3.21lbs. 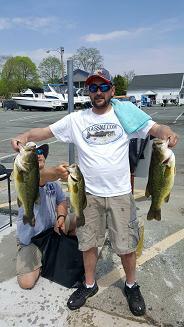 3rd Place was won by Brian *SubFish* M. . with 3 Bass going 5.35lbs. 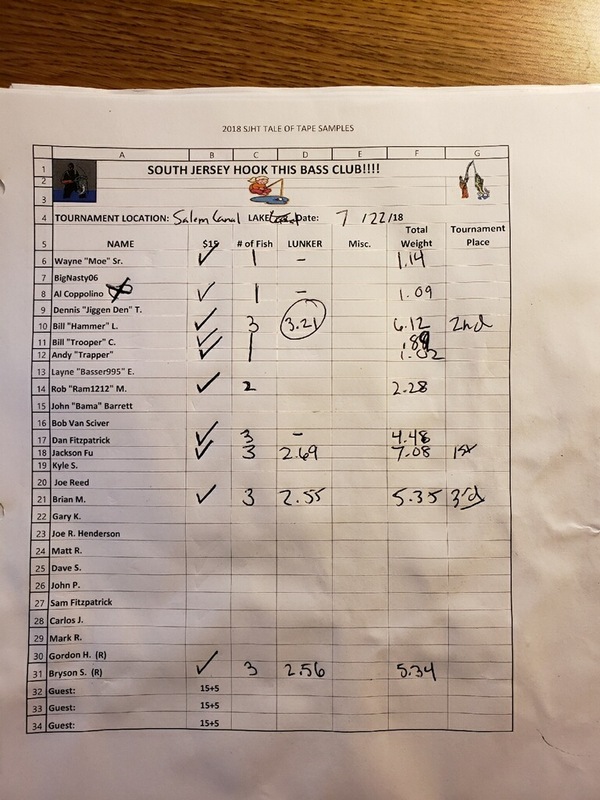 Summary: 10 out of 10 Anglers caught at least 1 Bass. 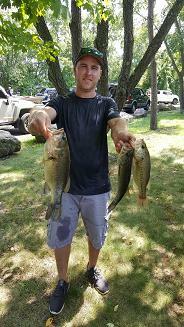 There were a total of 21 Bass caught overall giving way to a total of 34.79 lbs. The avg. 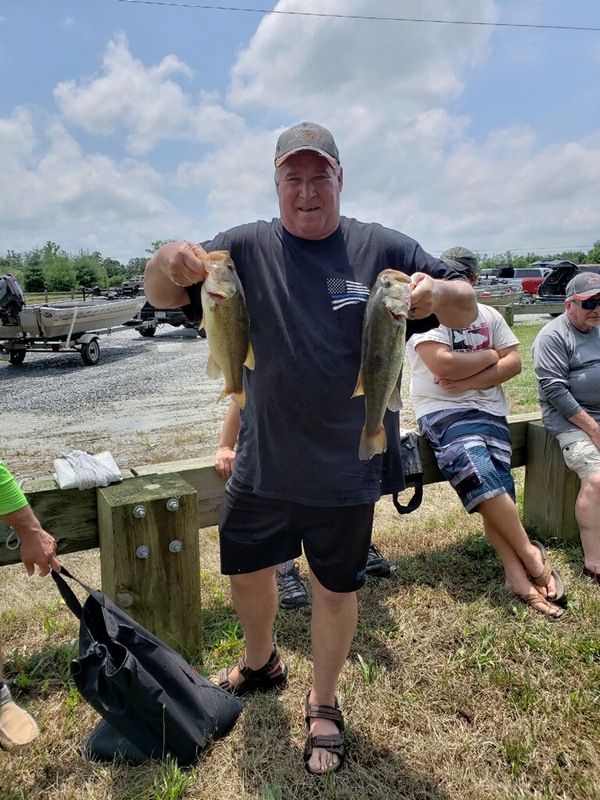 weight of each Bass went 1.66lbs. 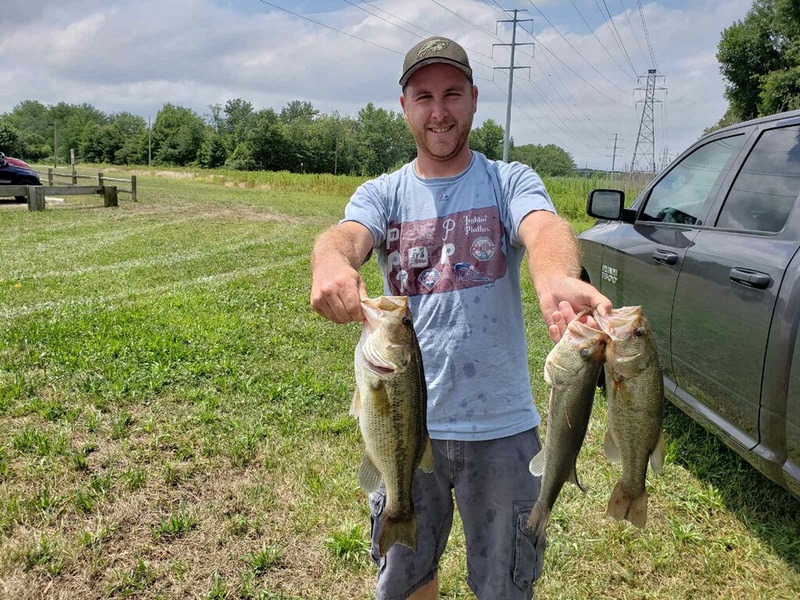 There were 5 Limits caught and 1 angler caught at least 2 Bass. So as one can see, the Canal even with the muddy\murky water still produced for most. I can only imagine with the water being 3' down, navigating the channels and not bottoming out was a little challenging for those not familiar with the Canal. 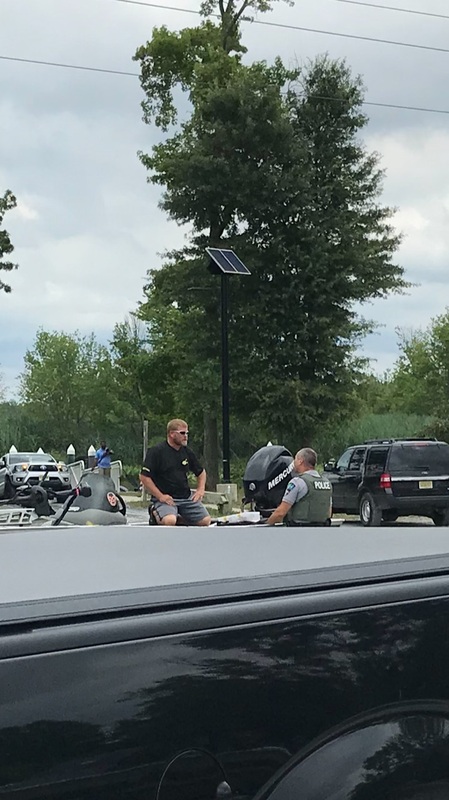 I'm not sure if there has been a greater emphasis at NJ WMA's to perform safety checks or just make sure boaters have all of there credentials, but I will say that some unlucky shore anglers got summons for fishing illegally without license and other incidentals. Since I was not there, I can only imagine there shock. 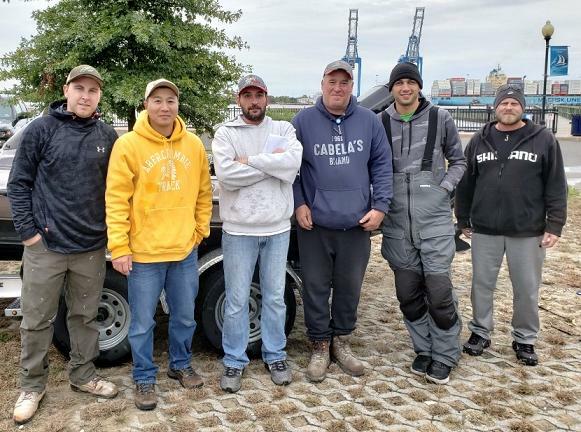 So boaters\anglers beware, that Fish and Game could be showing up at your next tournament\event and the best thing to do is cooperate, have safety gear\ Fishing License in order, and just understand that they are doing there jobs for the good of everyone. Note: Big Shout out to the FU Man for becoming a Certified English Translator for the guys ticketed at the Boat Dock. I knew he had other talents. LOL I'm quite sure they LOVED YOU FOR LONG TIME! This was from a source that fished earlier in the week. I guess I'm going to have to present the Tape Recordings. LOL!!! Congrats Jackson on another win. Nice lunker Bill. I thought the water was low. Seemed like there was alot of shoreline where there usually is water. I'm beginning to really hate that place. Troop that's what my source told me. I heard from a reliable source that after you launched, 3-5' behind the ramp, anglers were kicking up Mud. 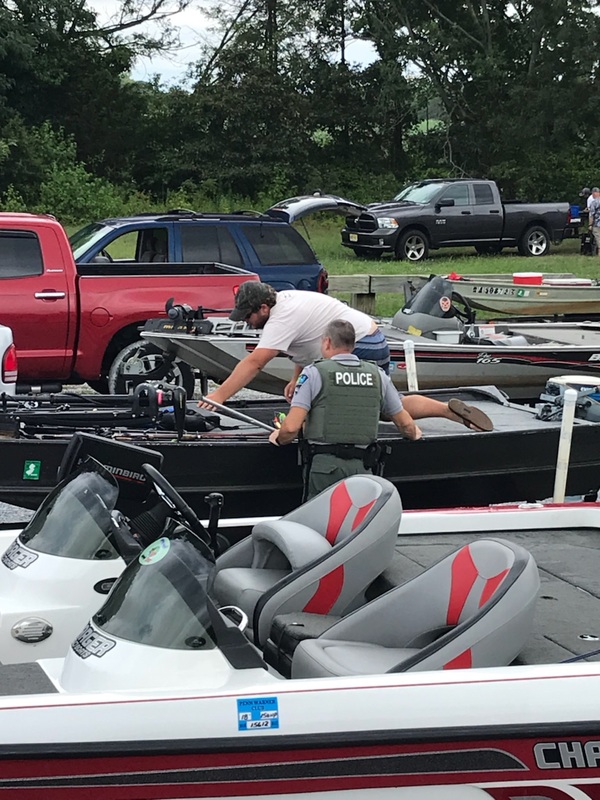 A day or two before Sunday's event, a guy 14' boat slid 3/4 of the way off the trailer. Yeah....one of those days I guess. Thanks, hope to keep the streak going. Water was def not 3ft low. Seemed normal pool, muddier in some areas. Place is fishing like it used to. 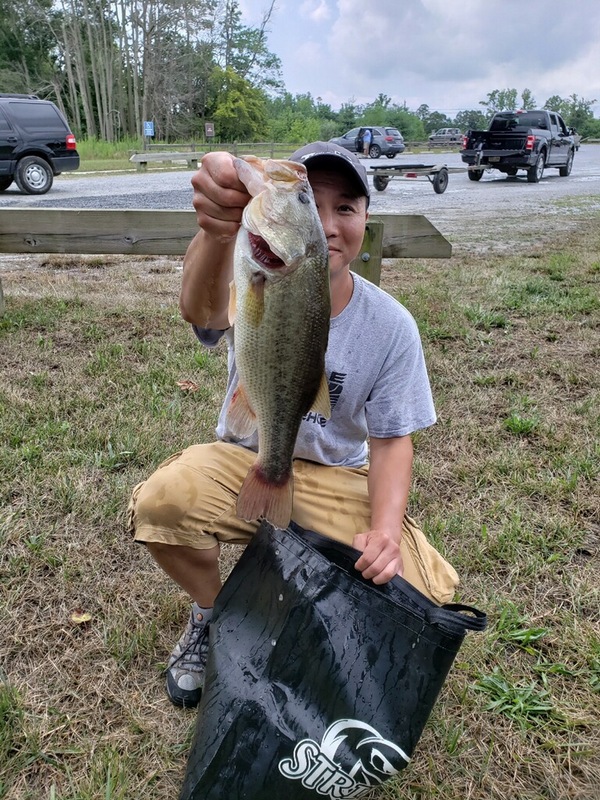 Caught a 2lb average...these fish are never around during opens smh. Congrats Jackson, Bill & Brian! See you guys in next week. Congrats Jackson, Bill and Brian !! would have loved to fish this one, but was sick. See everyone at Carnegie!